CASTAIC – Authorities Thursday identified a young man whose body was discovered in a wrecked vehicle over the side of a road in the Castaic area. The discovery was made about 4 p.m. Wednesday, Nov. 7, on the Ridge Route, about a mile north of Shadow Lake, according to the California Highway Patrol and the Los Angeles County Fire Department. Taylor Brand, 20, of Valencia was the driver of the vehicle, the coroner’s office reported. 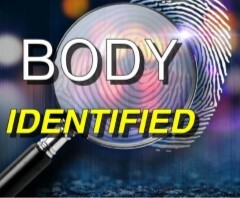 An autopsy was to be conducted to determine the cause of death. It was unclear how long the wreckage and body had been at the location. 2 comments for "Authorities ID body found in vehicle in Castaic area"
Brand’s car actually plunged over a cliff and down a 400-foot ravine.